"Green Toys Inc. makes an awesome line of classic children’s toys constructed from recycled plastic and other environmentally friendly materials. This helps reduce fossil fuel use and reduce greenhouse gas emissions, improving the overall health and happiness of the planet." I had the privilege of reviewing the Tool Set from Green Toys. Cooper absolutely loves it! He loves having his own tools, just like Daddy. Daniel is teaching Cooper the difference between a Phillips head and flat head screwdriver, and all about the other important manly tool information. 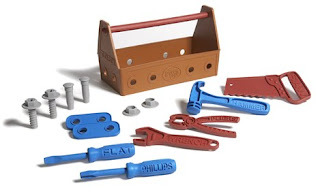 I am thoroughly impressed by the Tool Set because it is made from recycled milk containers! Even the packaging that it came in was eco-friendly. I really like the fact that Green Toys cares about the world that my son is growing up in, and they are doing everything a company possibly can to protect it. BUY IT! You can purchase your own Green Toys at http://www.greentoys.com/ . WIN IT! 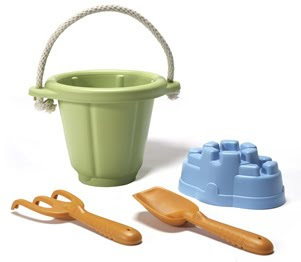 Green Toys has offered to give one lucky winner the Sand Play Set (pictured below)! 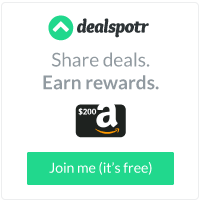 Visit Green Toys, then come back here and tell me your favorite item! Follow me on Twitter and tweet about this giveaway! (Leave your Twitter name and a link) You can tweet this daily: " Green Toys giveaway at Opinions of a Moody Mama #giveaway @coopersmommy @greentoysinc http://tinyurl.com/2a6tggn "
I did not receive compensation for this post. I did receive product(s) mentioned above to facilitate the review. All opinions are 100% mine. I love the stacker and the tea set. emilyjoymitchell at gmail dot com. I follow via GFC. emilyjoymitchell at gmail dot com. I really like that tea set! I like the recycling truck. Those stackers would make a great toy, kids could spend alot of time on those. The fire, dump, and recycling trucks are really neat. I like the Cookware and Dining Set. i like thier jumpropes and gardening kit! I liked green toys on facebook. I follow green toys on twitter. My son would be crazy about their blocks. I would love to get my son the Dump Truck as well. Thanks for the giveaway. I like the cute tea set. I also like Cookware and Dining Set! I like the stacker. It's cute and colorful. I like the tugboat toys. My favorite item is the Tea Set. i love the recycling truck, super cute! The jump rope looks so fun. One of my favorite activities as a kid. The kids would really enjoy the Indoor Gardening Kit. I like their blocks set! The recycle truck is my favorite item.